The estimating feature was one that the team over at V Sign Software took much time to refine and simplify for ease of use. 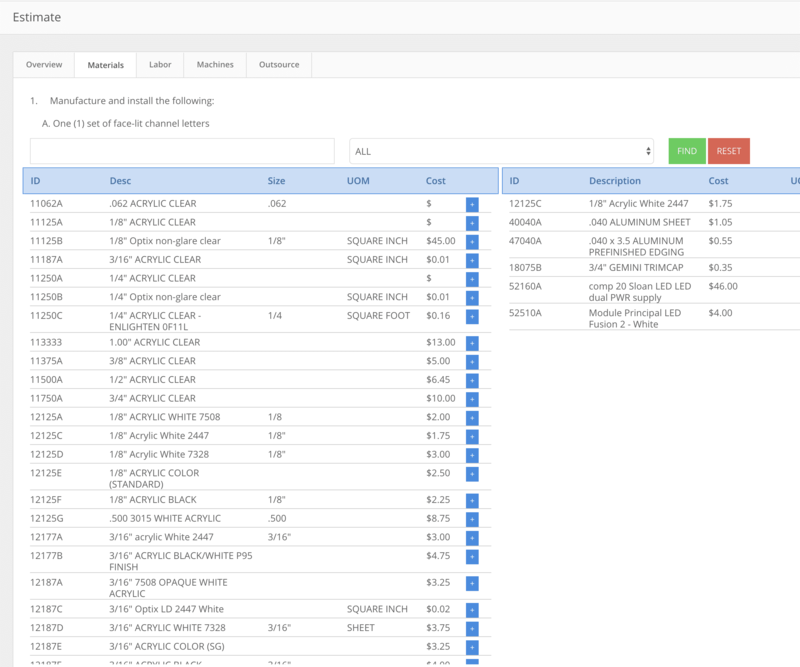 With our inventory lists built in as a column worksheet, the user can one click materials over to the estimate, making building a project a matter of minutes, not hours. Your departments will be customizable to your company profile and pay rates, making the software unique to your business. No two businesses estimate the same and we understand this. The in-depth setup feature will walk you through how to make this feature a time saver, and more importantly, personal to how you do business. There are so many components in this section of the program that it is something you truly need to experience to appreciate. From total costs including overhead, mark-ups for your team, and commission levels, this could be an app all in itself.